The smart Rugby Cufflinks feature the outline of a rugby ball emerging from a black enamel background. Under the rugby ball outline is the text, ‘RUGBY’. 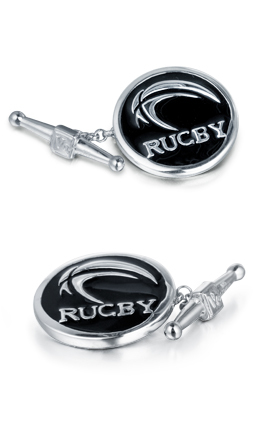 The Rugby Cufflinks are 925-silver.